The NFL brings us one of the all time classic quarterback matchups: Peyton Manning and Tom Brady. The two future Hall of Fame quarterbacks, who have always played in the AFC together since Brady’s arrival to the league in 2000, have a rivalry that is second to none in professional football. While this weekend’s game is expected to be a close one — the Broncos opened the spread as a 6.5-point favorite — it’s almost a sure thing that both quarterbacks will perform at the highest level. If history has shown us anything, though, it’s that Brady typically has Manning’s number, both when Manning played for the Colts in his first 14 seasons or with the Broncos in the past two. There’s no doubt that over the past decade they have been two of the best and most consistent quarterbacks (though Drew Brees also has a case) in the NFL. In honor of their storied careers, here are the top five games that Brady and Manning have played against each other in this 12-year rivalry. What better way to kick off a countdown of the Manning-Brady rivalry than with the first time the two ever met? The Patriots, reeling from starting quarterback Drew Bledsoe’s injury a week earlier, turned to the lesser-known Brady to take the reins of the offense. And in just his first career start, Brady did what he’s done his entire career: He found a way to win. While the Patriots weren’t the best offensive team, they had a stifling defense that resulted in Manning throwing three interceptions, two of which were returned for touchdowns. Early in his career, before he gained the confidence to become the gunslinger that he is today, Brady always managed the game well. In his first professional victory, he threw for just 168 yards and no touchdowns, but he also didn’t have any interceptions. 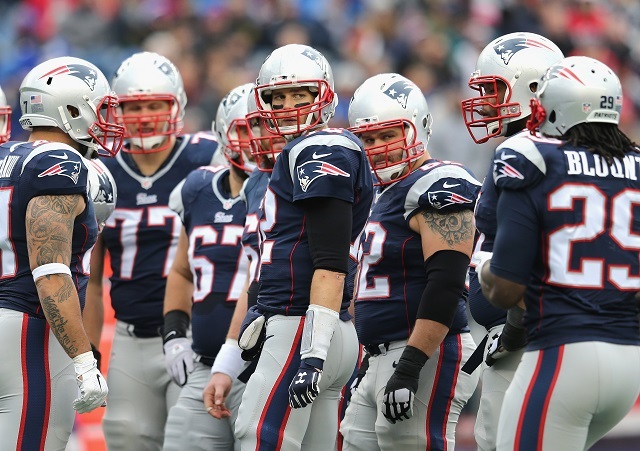 The Patriots used a strong running attack to rush for more yards (177) than they threw for and three touchdowns. Combine that with the impressive defensive effort, and all Brady had to do was not lose the game. Facing off in the divisional round, Brady continued his win streak against Manning, this time in a 25-degree Fahrenheit, snowy mess of a game at Gillette Stadium in Foxborough, Massachusetts. Despite Indianapolis’ league-leading offense, the Patriots used the weather and three forced turnovers to hold the Colts to a lone field goal. Brady accounted for two touchdowns — one passing and one on the ground — and kicker Adam Vinatieri nailed two field goals to give the Patriots an early 6-0 lead. Though New England held Manning to 238 passing yards, no touchdowns, and a late interception, the Patriots’ ability to maintain possession for 21 minutes and 26 seconds of 30 possible minutes in the second half was a major factor in Manning’s seventh loss against New England. This was the first time both Manning and Brady met in the playoffs, in the 2004 AFC Championship game. Similar to a year later (No. 4 on this list), the Patriots came into this matchup with home-field advantage and dominated from the get-go. But despite the Patriots’ 15-point first-half lead, the Colts came out after the break and immediately scored on an Edgerrin James run. New England would respond by way of two Adam Vinatieri field goals, and a fourth-quarter Manning touchdown pass wasn’t enough for Indianapolis to mount a comeback. Similar to a lot of this rivalry, Brady wasn’t all that spectacular but outperformed Manning, who was plagued by interceptions (four) yet again. The only game on this list since Manning’s arrival in Denver, this would go down as one of the most epic comebacks in the entire rivalry. The Broncos, the NFL’s best offense this season, opened the first half on a 24-0 run. It didn’t seem Patriots head coach Bill Belichick had any answer. That would change at halftime, though, as Belichick did what he does best: make adjustments to the game plan when it’s not working. 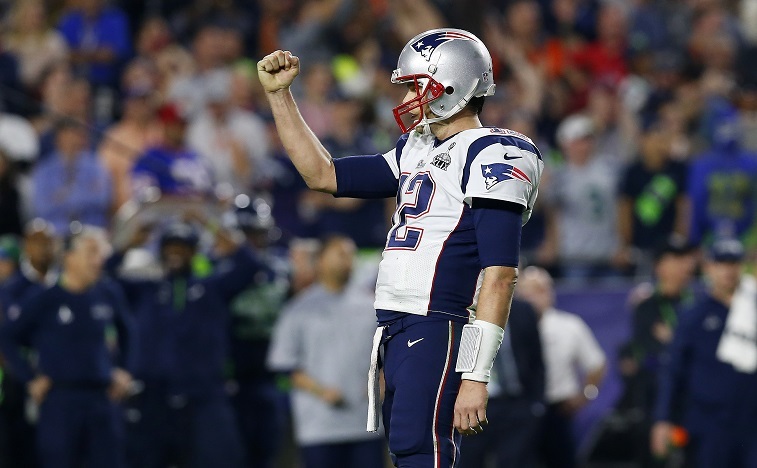 New England opened the second half less than four minutes in with a Brady touchdown pass. The Patriots then scored 24 more unanswered points, taking a 31-24 lead and leaving Denver with just 7:37 left to tie the game. Manning answered, driving the Broncos down the field and hooking up with Demaryius Thomas for an 11-yard touchdown, which sent the game to overtime. Keeping up with the trend of the rivalry, though, the Patriots wound up winning — and Brady outperformed Manning yet again. 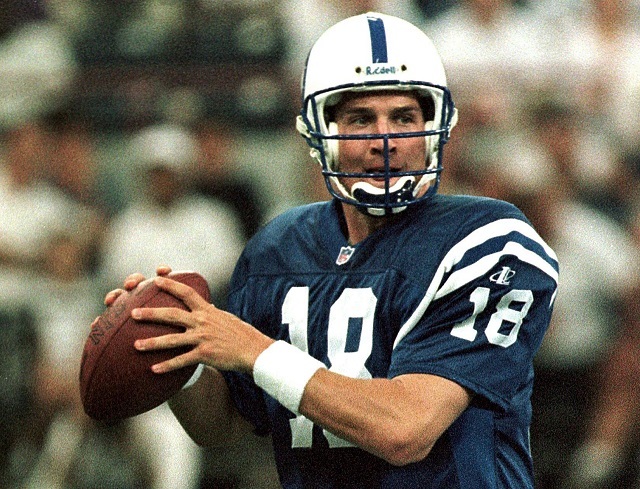 It wasn’t a coincidence that the year the Colts and Manning finally got over the Patriots-Brady hump was also the same season they’d win a Super Bowl. Though Manning didn’t play his best game, unlike his past performance against the Patriots in the AFC Championship, his 349 yards, one touchdown, and just one interception outperformed Brady. 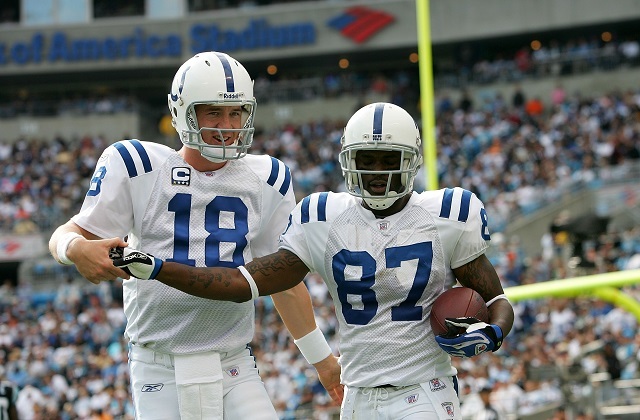 He also led a second-half comeback after Indianapolis struggled offensively in the first half and trailed 21-6. Overall, the difference in this game was the Colts’ ability to move the ball: The team compiled 455 total yards of offense against one of the best defenses in the league. And when the game was on the line, it wasn’t Brady who made a big play or Belichick who made the gutsy call — it was Manning. That’s what the Brady-Manning rivalry has really been about all these years: Two elite quarterbacks who continually bested each other. It just so happened that Brady did it a few more times (six more times, actually) than Manning did.